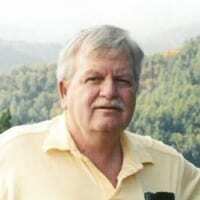 Mr. Jimmy Lee Gregory age 75 of Dalton, passed away Monday, September 17, 2018 at Hamilton Medical Center. He was retired from Shaw Industries and a member of Amazing Grace Baptist Church. He enjoyed “loafing” front porch sitting and making music. Jimmy will be remembered for being kind, compassionate, and hardworking, with a laid back loving man personality. He will be missed by all who knew him. Mr. Gregory was preceded in death by his parents, John “Bud” and Leah Gregory; brothers, John Henry and Herman “Sonny” Gregory; sisters, Joanna Gregory, Annie Mae Ray, and Rosebud Baldwin. Survivors include wife, Barbara Gregory of Dalton; children and spouses, David Gregory (Chriseia) of Dalton, Donna Smith of Dalton, Alan Hall (Teresa) of Madisonville, TN, Angela Davis (Alan) of Chatsworth, and Michael Hall; brothers and sisters-in-law, Steve Gregory (Reatha) of Calhoun, Jack Gregory (Carylon) of Chatsworth, Ronnie Gregory (Carylon) of Oakman; sister and brother-in-law, Faye Nichols (Dewight) of Ellijay; grandchildren, Adam Gregory, Jake Gregory, Daniel, Michael and Gabriel Smith, Rachel Burrell, Marissa Frye, Taylor Davis, and Jeremy and Haley Rittenberry; several great grandchildren and nieces and nephews also survive. Graveside services to celebrate the life of Mr. Gregory will be held Wednesday, September 19, 2018 at 11:00 a.m. in the Amazing Grace Cemetery with Rev. Lamar Payne officiating. The family will receive friends, Tuesday from 6:00 until 9:00 p.m. at the Peeples Funeral Home. Peeples Funeral Home & Crematory of Chatsworth is in charge of the arrangements.